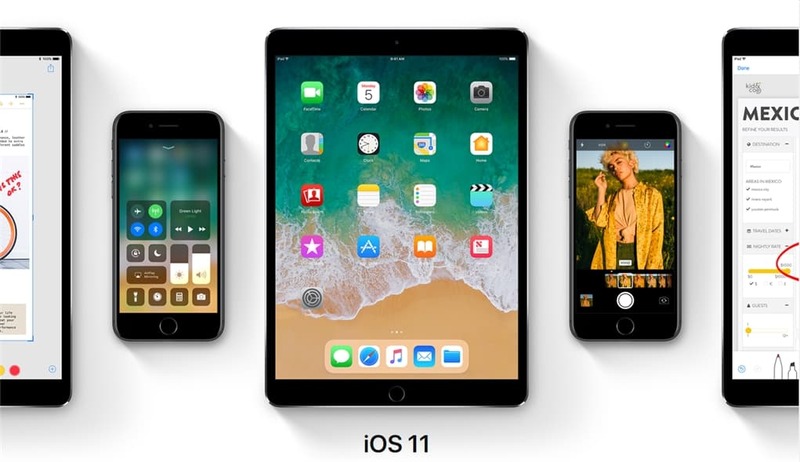 At Apple WWDC (WorldWide Developer Conference) 2017 today, Apple announced the new upcoming iOS 11 (available later this year), among other things like the new iPad Pro, Mac OS High Sierra, and a new smart speaker HomePod. So what’s new on iOS 11? What has changed? New Person-to-Person payment feature which enables you to send a payment to a friend via Messages (with Apple Pay Touch ID authentication). The money will be stored in a virtual Apple “PayCash” card that can be used for Apple Pay purchases or transferred to your Bank account. Improved interface, follow-up questions, give multiple results, translate something for you (which will come in handy when you are overseas – so you can ask Siri to translate and say it to the locals). Smarter Siri that can suggest making appointments, news of interests based on what Siri learns so far about us by the way you use your devices. 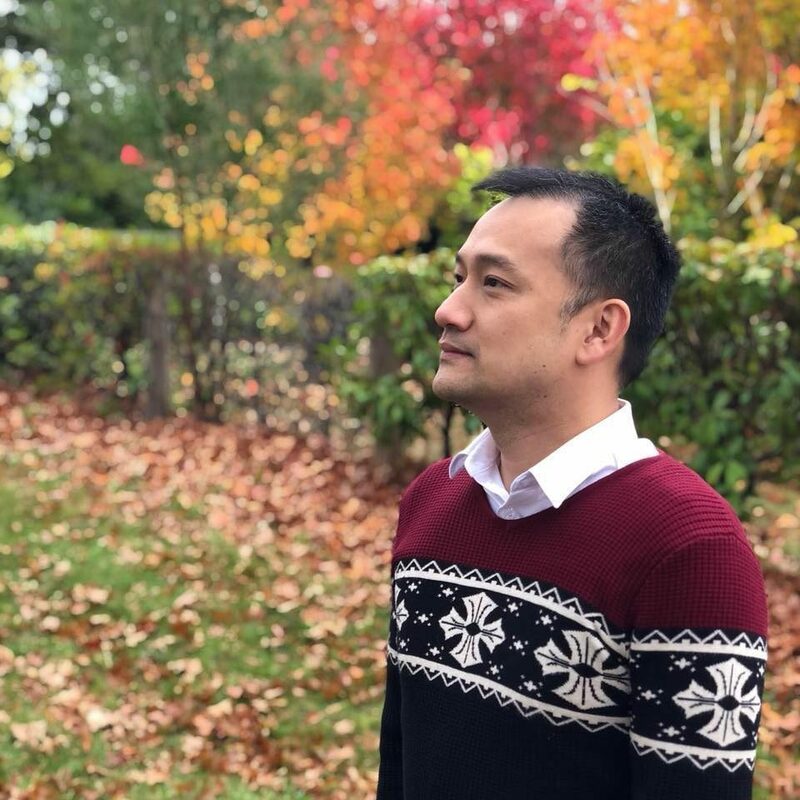 Better compression technology on photos captured by the iPhone camera, using less space per photo (like half the size) with high image quality. Portrait mode taking in iPhone 7 Plus now has better image quality, better low light performance (it was pretty bad before), OIS, True Tone Flash, and HDR. Apple also gives an API to developers to take advantage of the depth-of-field effect for more effects manipulation. Better “Memories” feature in Photos that can identify more objects and events/activities. More “Live Photo” manipulation support/edit, including creating a seamless loop through machine learning. Total redesign with just a single page/panel. You can use 3D Touch to reveal more options. An auto Do Not Disturb While Driving to prevent notifications from distracting you. People can add “urgent” to your messages to get through, or you can tell your phone that you are not driving (if you are the passenger), or add a Contact filter. New support for Speakers in Apple Home with multi room setup, etc through Apple’s new AirPlay 2. You can see what your friends are listening to in Apple Music, share your playlists, etc. 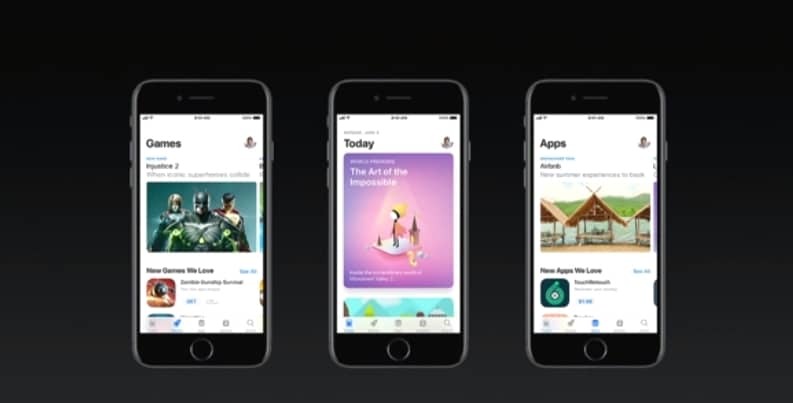 App Store redesign with dedicated Games section, Apps, new in-app purchases, Today’s Story that highlight featured app, tips, and other news in the app world. On the iPad side, iOS 11 allows you to slide up to reveal the Dock, support more apps on the Dock when in Landscape mode, easier to multi-task, drag-and-drop support, and has an app switcher screen like a Mac. There is also a new “Files” app that stores all files from the apps installed on your iPad. If you’ve been following the rumours on Apple and the upcoming iPhone 8 recently, you’d have heard about Apple’s high interest in Augmented Reality. I wasn’t really into it to be honest, but after seeing the demo from Apple WWDC, I could really see why there is a high interest in AR from Apple. During the demo at WWDC 2017 today, an iPhone camera and an AR app were used to add 3D objects (with dynamic lighting) onto the live scene. This is really cool if you want to design your house interior with furniture say, so you can see exactly how they are going to look without having to move them physically one by one. And kids can have more cool games that use real-life scene like Pokemon, or using the furniture at your home for a battle scene (I mean, I’m sure we all did this when we were kids). 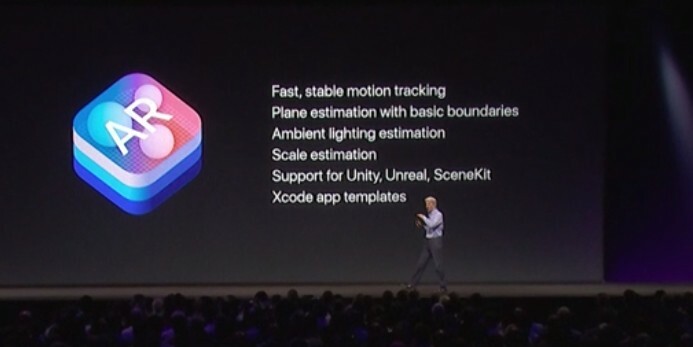 Apart from these changes, Apple has also openend a lot of new APIs to the developers (Natural Language, Machine Learning, Augmented Reality, and also expanding existing ones like Siri, Maps, etc). As always, the changes may not seem much or obvious at first, but giving more powers to app developers is always an exciting move. All we have to do is wait and see what will be coming ahead.